The Tet Offensive, the largest enemy assault of the Vietnam War, was Spc. 4 Donald Hirkey’s introduction to Southeast Asia almost 40 years ago. 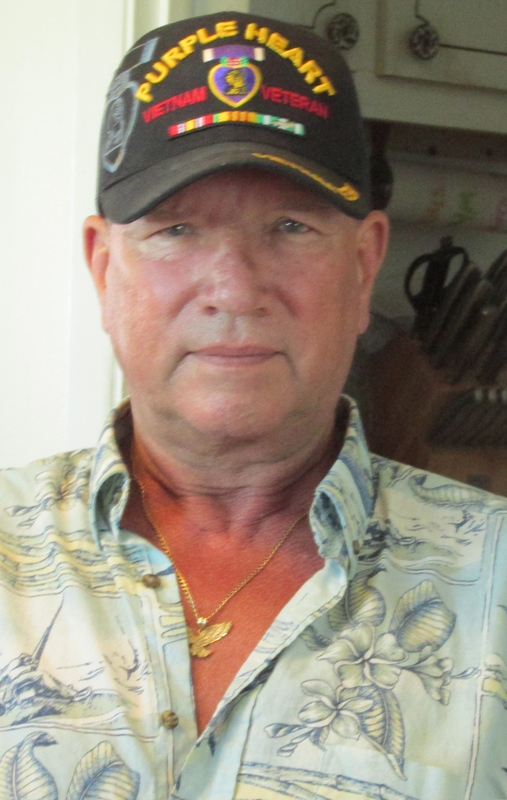 The 65-year-old North Port man was a member of A-Company, 2nd-Battalion, 506th Airborne Infantry Regiment, part of “The Screaming Eagles,” the 101st Airborne Division. Hirkey and his unit landed at Bien Hoa Air Base near Saigon in C-130 transport planes just in time for Tet. They flew into the teeth of the 80,000-man assault by battle-hardened North Vietnam Army troops and Vietcong guerrillas that launched a coordinated attack on 100 South Vietnamese cities stretching from the Demilitarized Zone in the north to the Mekong Delta in the south. “When we got to Bien Hoa our division base camp was overrun by NVA troops. We landed in the main post next to our division headquarters,” Hirkey recalled more than four decades later. “We crawled by a knocked out tank still on fire at the gate. We went a little further into NVA-held territory and they beat us up. “For the next 36 hours we fought the NVA and VC that had gotten inside our barbed-wire perimeter. They turned a .37 mm anti-aircraft gun they mounted on a three story building. They chopped us up with that gun,” he explained. “During the ‘Tet Offensive’ we couldn’t get air support even though we were located at a big airbase at Bien Hoa some 15 miles from Saigon. The NVA had turned their .37mm gun on jets that were burning on the runway. “At one point an NVA soldier fired at us from behind a woodpile about 10 feet away. He would pop up and shoot and then disappear. Then he would pop up again behind a nearby hay stack and shoot at us some more,” Hirkey said. “He came up out of the woodpile and fired at Joe Yette knocking his helmet off. Then he fired at a guy right behind Joe and killed him with a shot to the neck. This time he was firing from the hay stack. “Each time we thought we got him when we fired back and each time he popped up again. Finally we realized the NVA shooter had a short tunnel connecting the woodpile with the hay stack. When we got to his tunnel we dropped a grenade down the hole. It blew both the woodpile and the hay stack up. That was the end of NVA guy. “We ended up fighting the NVA door-to-door in Bien Hoi and that was a pretty big town. We lost almost half our guys in the fight. There were dead soldiers from both sides all over the place when the shooting stopped,” Hirkey said. Their initial firefight brought them to the attention of Gen. William Westmorland, commander of American forces in Vietnam during Lyndon Johnson’s presidency. The general turned the 506th Airborne Infantry Regiment into a special unit he called in when other units were being overrun by the NVA or VC. They went to work for “OpCon,” Operation Control. “People would call us for help when they were getting beat up by the enemy. That’s when we were sent to the rescue,” he explained. Their first rescue missions was to help a Special Forces unit based atop a mountain at Dak Pek, South Vietnam. They were being attacked by three NVA divisions. “We were up on top of the mountain where the NVA didn’t like to be. They stayed hidden in the triple canopy jungle in the valley below. At night they would move around using lanterns and lights. We watched them come over a nearby hill like fireflies with the lights glowing in the dark. As they headed down they started putting their lights out. “We took their coordinates where they were sleeping. The next morning we called in four B-52 high altitude bombers that carpet bombed their bunks and apparently wiped out all three NVA divisions. “The first thing we knew about the bombing was when we started hearing the whistling of the falling bombs as the B-52s flew away far off in the distance. It was just like the movies portray it. “We watched the valley below us blow up. The explosions were coming right toward us. For a moment we thought we were going to get killed because debris from the bombing was raining down on us. The closest the bombs got to us was 1,500 meters. “We checked the area where the NVA had beaded down the night before. The only thing we found were bomb craters so wide you couldn’t throw a stone across them,” Hirkey said. A-Company, 2nd Battalion, 506 Airborne Regiment became the go-to bunch after that incident. They were the cavalry not only at Bien Hoa but Phuoc Vinh, Song Be, Dak To, Dak Pek, Cu Chi and Dau Tieng. Cu Chu Hirkey recalls well. “I got shot July 25, 1968 at Cu Chi when we flew into an NVA ambush of the American 24h Infantry Division,” he said. “They engaged a larger enemy force right next to the ‘Iron-triangle’ adjacent to Cambodia. “In front of us was a hedgerow that bent down and revealed a series of heavy and light enemy machine-guns pointed at us firing away. To our right was another group of people in the brush firing AK-47 assault rifles a us, although we didn’t know it at the time. “I was hit in the shoulder with an AK-47 round that went through the top of my shoulder and came out my back. it also blew out the muscle in my left arm. I still had to stay there and fight with my unit for the next 12 hours until a Medivac helicopter could fly me to a field hospital,” Hirkey said. He flew into Los Angeles International Airport from Japan during the height of the Vietnam War protest movement’s demonstrations in the late 1960s. He didn’t encounter any of the civilian protesters because he switched planes to Detroit, Mich. without leaving the airport and flew home for a 30 day leave. Hirkey’s last 10 months of his three year hitch was served at Fort Knox, Ky. as a member of B-Troop, 10th Cavalry. He was discharged from the service in Nov. 24, 1969. He went to work for Ford Motor Co. as the developer of a string of fitness centers for the car company. He worked for Ford for 31 years until he retired in 2000 and he and his wife, Sharon, moved to North Port. They have two children: Ann, from a previous marriage, and Crystal. Donald and Sharon Hirkey will be in Church Point, La. 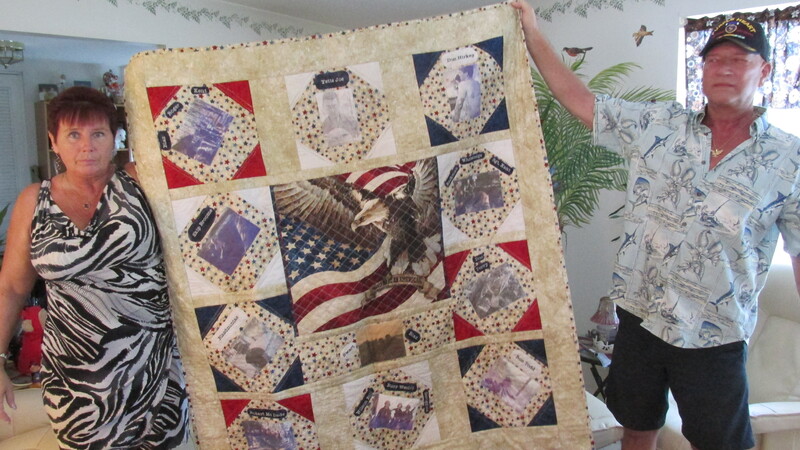 this coming Veterans’ Day delivering a quilt she made to “Joe’s Place,” a local watering hole owned by Joe Yulee. Yulee was a member of Hirkey’s fire team when the two served in the 101st Airborne Division in the Southeast Asia War more than half a lifetime ago. The quilt is comprised of 13 separate blocks, each with a picture of 13 American airborne troopers who served in Vietnam. They are the last remaining members of A-Company’s fire team. The quilt will be on display in “Joe’s Place.” Once a year the group meets at the bar on Veterans’ Day to celebrate the occasion and the part they played in the war. Unit: A-Company, 2nd-Battalion, 506th Airborne Infantry Regiment, part of “The Screaming Eagles,” the 101st Airborne Division. 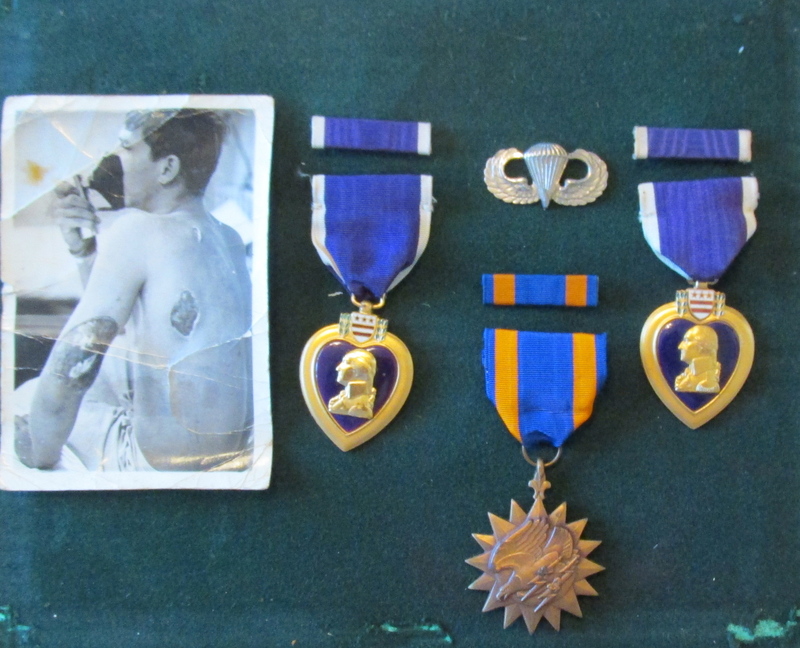 Commendations: Two Purple Hearts, Combat Infantryman’s Badge, Paratroopers Badge,Vietnam Service Medal, Vietnam Campaign Medal, Sharpshooter’s BadgeNational Defense Servicr Medal. This story was first published in the Charlotte Sun newspaper, Port Charlotte, Fla. on Monday, Nov. 3, 2013 and is republished with permission. Click here to view Hirkey’s collection in the Library of Congress. This is my grandpa’s article.